University of Texas junior quarterback Shane Buechele reportedly entered the transfer portal Thursday, according to Stadium's Brett McMurphy. Anwar Richardson of Orange Bloods reported Wednesday that Buechele informed the team of his decision along with freshman quarterback Cameron Rising, who also intends to transfer. Buechele backed up Sam Ehlinger in 2018, finishing with 273 yards, two touchdowns and one interception on 30-of-44 passing. The 21-year-old Buechele is an Arlington, Texas, native who won the Longhorns' starting quarterback job as a true freshman in 2016. He showed great promise, finishing the year with 2,958 passing yards, 21 touchdowns and 11 interceptions in 12 games. Buechele began 2017 as the starter but lost the starting job to Ehlinger due to injuries before regaining it. By the end of UT's 7-6 campaign, Buechele had been supplanted by the freshman, which set the stage for his current desire to transfer. All told, Buechele threw for 1,405 yards, seven touchdowns and four picks in nine appearances during the 2017 campaign. Ehlinger finished with 1,915 yards, 11 TDs and seven picks, and he followed that up with 3,292 yards, 25 TDs and five picks last year as the Longhorns finished 10-4. Since Buechele appeared in just two games last season, he is able to count it as a redshirt season under new NCAA rules. That means he still has two years of eligibility remaining. 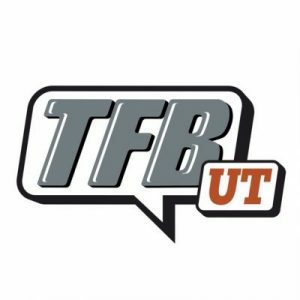 Per Tom Fornelli of CBSSports.com, Buechele is on track to graduate in May, which means he will be eligible to play immediately as a graduate transfer if he transfers during the summer. With Ehlinger leading the Longhorns back to prominence in 2018 and having the makings of a Heisman Trophy contender for the 2019 season, an injury was Buechele's only hope of seeing significant playing time at Texas. By transferring, Buechele will have a legitimate chance to start elsewhere for two years and potentially put himself in position to develop into an NFL prospect.